So you say you have some time to kill before the big Apple Keynote today? 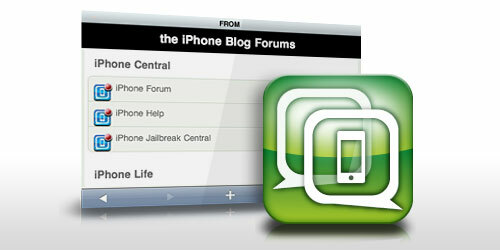 Why not spend some time browsing our forums, all you need to do is register and you are on your way. Once registered be sure to check out some of the following threads! Everyone is expecting iPhone OS 4.0 to be shown off today, feel free to discuss that in this thread right here: Discuss the iPhone OS 4.0 software. With the rumors flying regarding the iPhone on Verizon be sure to check out our forum dedicated to carrier talk: iPhone Plans and Carriers. Currently on Windows 7 and having difficulties with your iPhone? This is the thread for you: Official Windows 7 iPhone Help. Time after time folks complain about their iPhone battery life, check out the following thread to get some tips that just might help your device survive the day: iPhone Battery Tips.